Bed And Breakfast2906 sq. ft. The living area includes a large living room with fireplace, the large open plan kitchen with air conditioning, where breakfast is served with a large fireplace. Villa Roberta has free wifi, free parking, alarm. 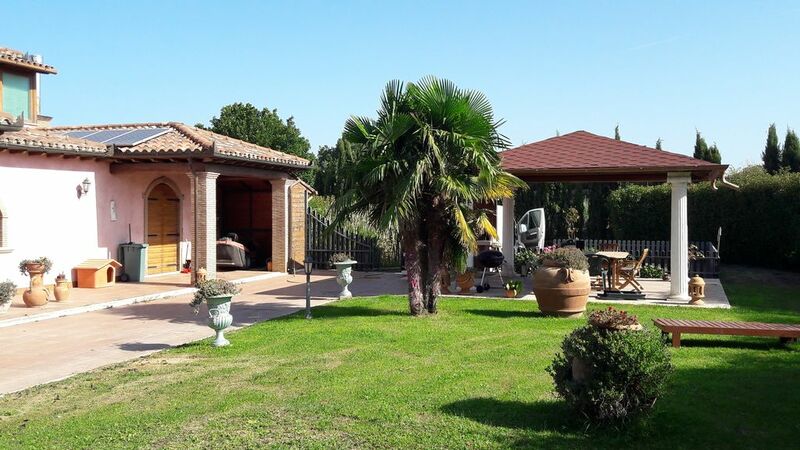 the structure located in the countryside, in all tranquility and privacy, is 3 km from the Terme del Bagnaccio, 3.9 km from the city center, 15 km from Lake Bolsena. Excellent for families and children, with garden with security gates, Gazebo area.